Sharing stories of childhood holidays in Morecambe prompted the joint venture that is ‘Five Rivers’. This collaboration between a poet and an artist is much more than nostalgia. These photographs, and the installation that they accompany, reflect the biological richness of Morecambe Bay. Rebecca brings a scientific mind to her creations. She has collected and tested water samples from 18 points around Morecambe Bay, a site of international scientific significance. The results form the installation, creating a contemporary picture of the area to both reflect and balance the narrative of Morecambe, as described in the poems. 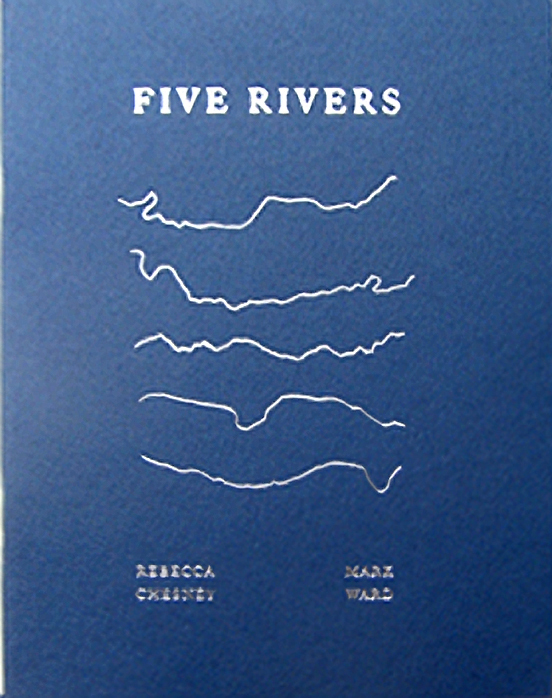 Mark’s poems react with Rebecca’s work, giving a context that is both richly personal and universal. Mark charts the resort’s heyday and decline, from the construction of the power station to the advent of the package holiday. He measures this change in shifts of rhythm which mirror the increasing pace of modern life, before applauding its current renaissance. The people are returning. This book, and accompanying exhibition, is a tribute not only to Morecambe Bay but to a generation that is managing to put the magic back into the places of its youth.